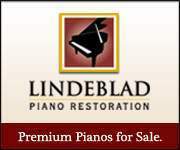 Looking for a new home for our baby grand piano. Schafer and Sons Baby Grand purchased in 1990. Original owner but little used. In original condition with no major scratches on finish. Matching bench and foot pads included. $4,000 or best offer. Serious buyers only, please. 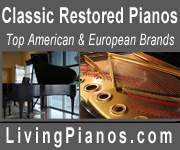 Restored Chickering "Quarter Grand", Beautiful Look & Sound!